Our next show is in Milwaukee, WI on May 3 & 4. 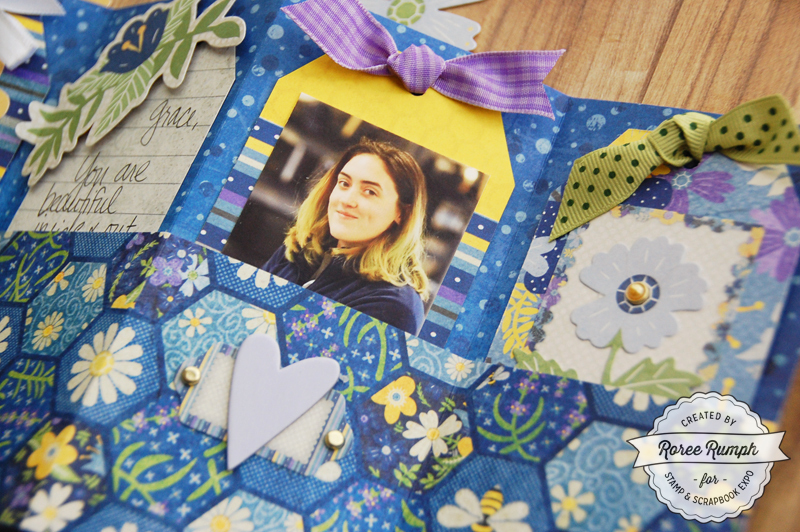 Stamp & Scrapbook Expo will be teaching five “Latest & Greatest” workshops at this show: Card Making, Cool Tools, Planners, Scrapbooking, and Stamping. 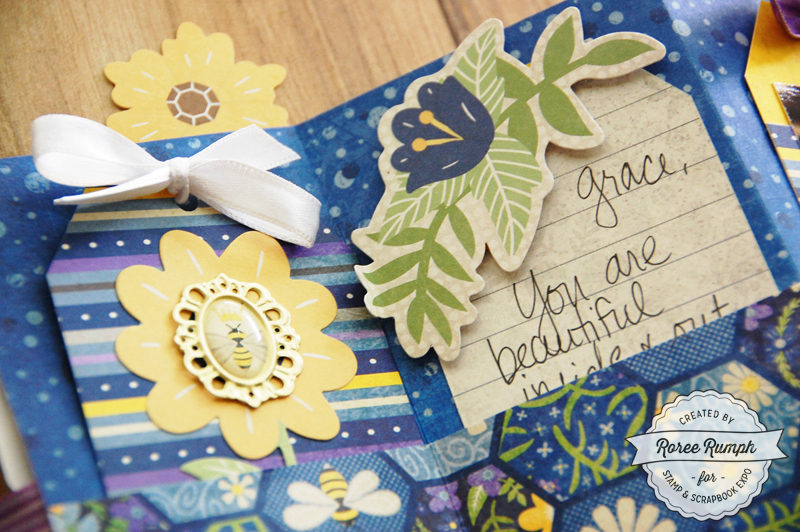 Today I am going to be creating with new products from our Scrapbooking classes: the Bee-utiful You collection from BoBunny. 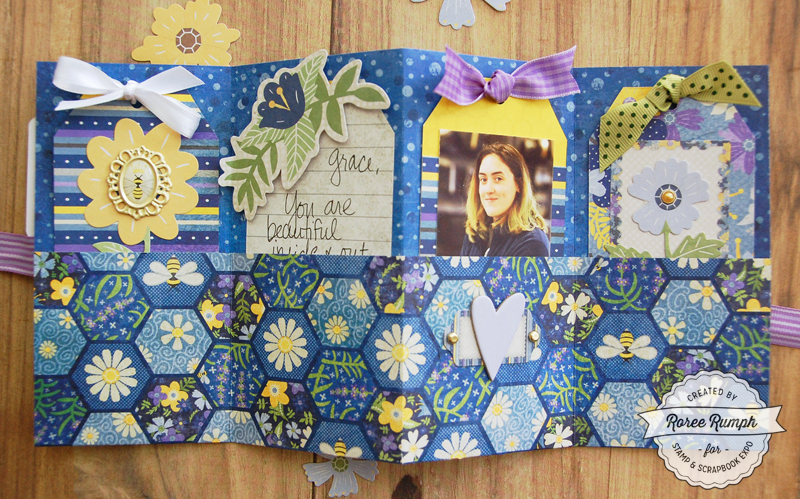 It contains the Brads pack, the Noteworthy pack, and two each of these three patterned papers: Always, Bees Knees, and Bee-utiful You. 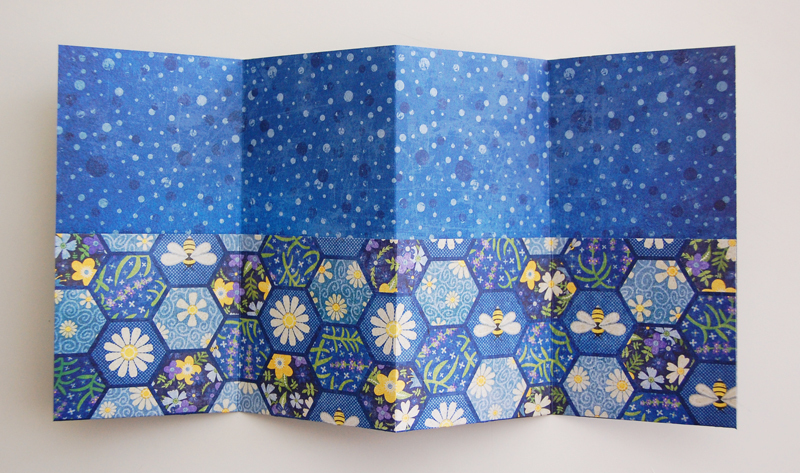 I started with a 9 x 12″ sheet of the Bee-utiful You patterned paper, scored it vertically at the 3″, 6″, and 9″ marks, then fan folded it. 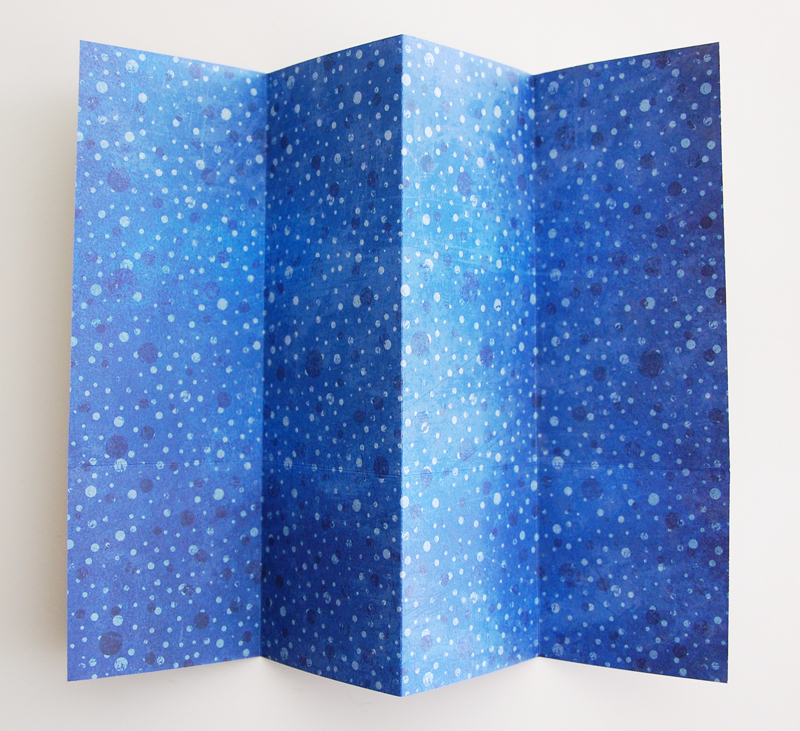 I scored it horizontally at the 6″ mark and folded the bottom 3″ upward, adding adhesive along the outside edges and along the score marks to create my pockets. 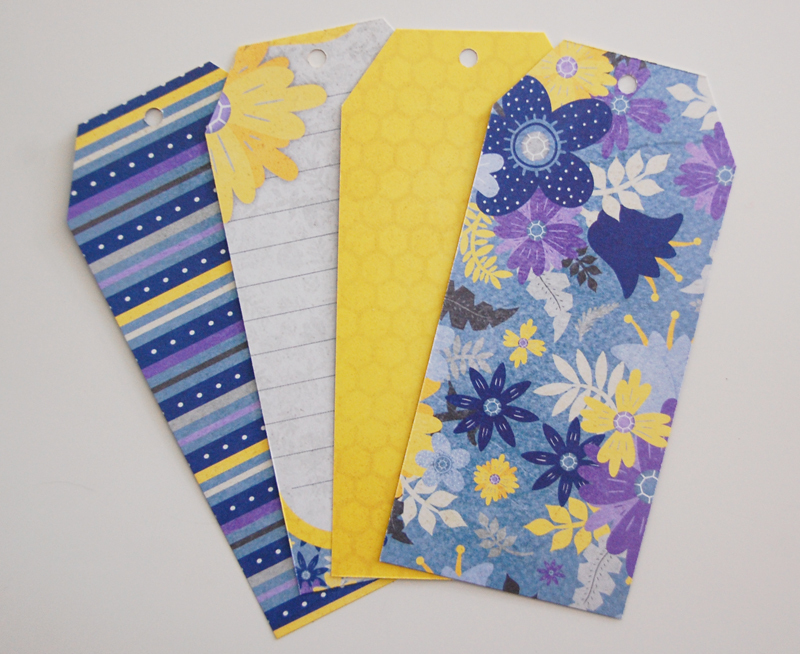 I then created four 2 1/2 x 5″ tags from the Always and Bees Knees papers to fit in the pockets. 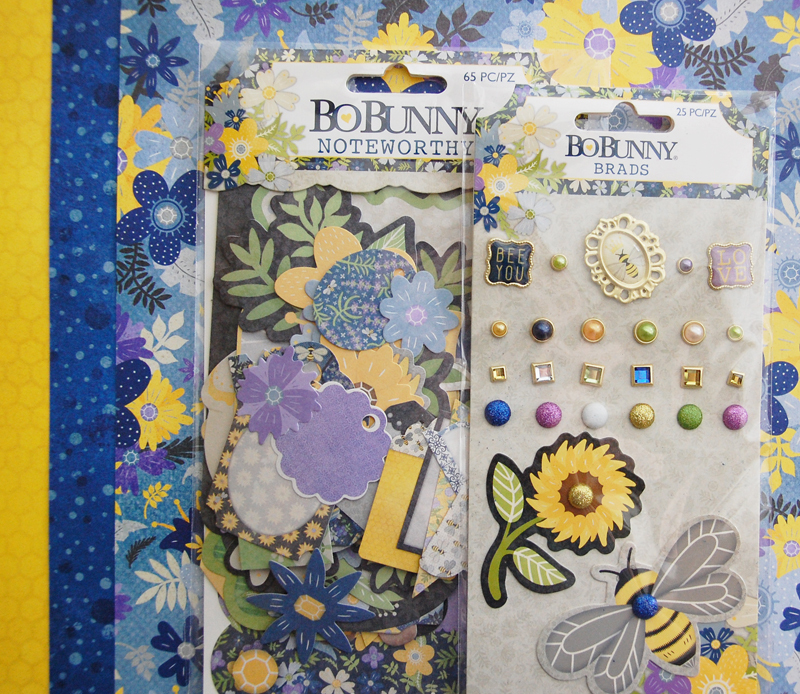 I finished the pocket mini album by decorating the cover and the tags with Noteworthy die cuts, Brads, and some extra bits and pieces from my stash. I absolutely love the colors and prints in this collection and I will definitely be using up the leftovers to create some cute coordinating cards. 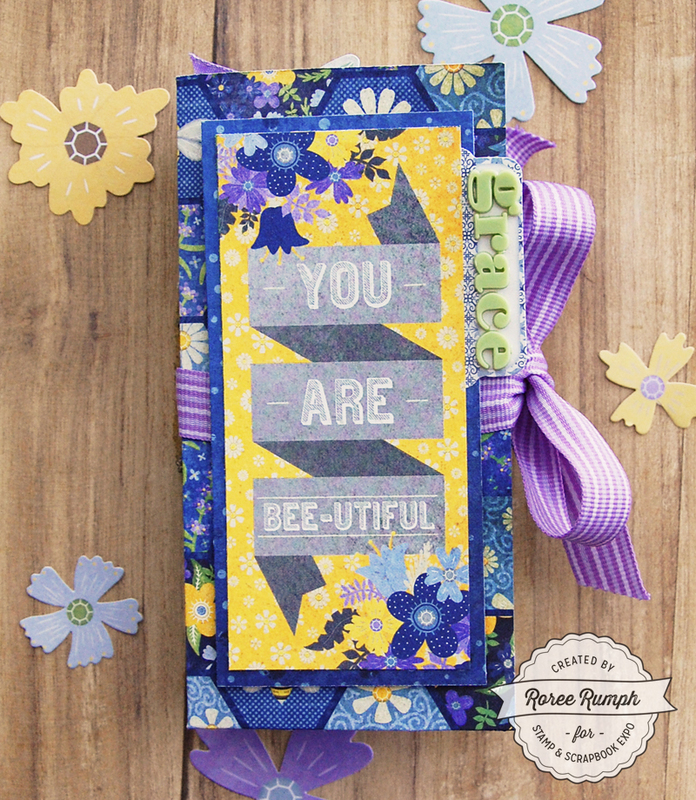 This Latest & Greatest: Scrapbooking workshop featuring the Bee-utiful You collection from BoBunny will also be taught at our upcoming shows in Orlando, and Puyallup. We would love to see you at one of these shows! This entry was posted in General Crafts, How To, Latest & Greatest, Make It Monday, Manufacturers, New Releases, Paper Crafts, Scrapbooking, Stamp & Scrapbook Expo, Tutorial and tagged bee-utiful you collection, BoBunny, brads, Latest & Greatest, noteworthy die cuts, Patterned Paper, pocket mini album, Roree Rumph, Scrapbooking, SSBE, Stamp & Scrapbook Expo. That looks pretty easy. thank you. 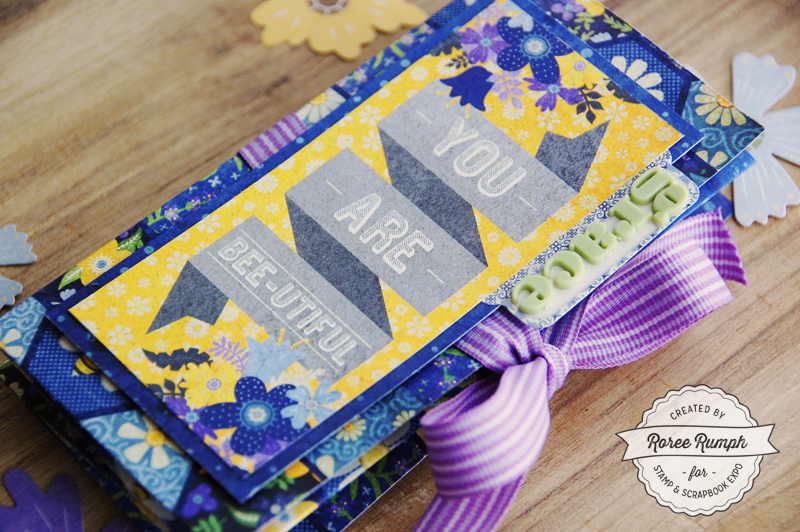 Lovely project, thanks for sharing! I hope to see y’all at the Denver show in the fall. This project gave me a great idea for a special gift for a special daughter’s upcoming birthday. Great looking papers. Looks like it would be fun to work with them. Neat idea! I just may have to do this one! 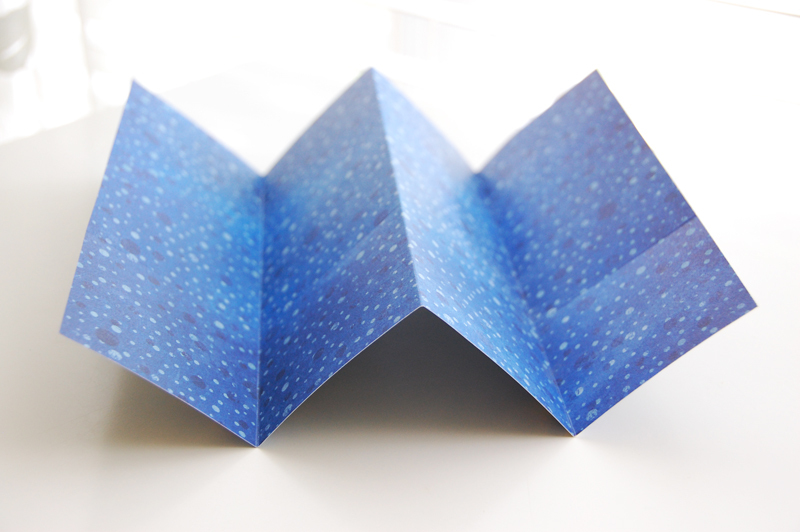 What a perfect gift for an avid reader!